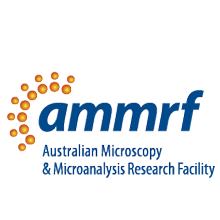 Last month we celebrated the contribution that two foundational AMMRF Node Directors have made towards establishing and operating Australian collaborative research infrastructure in microscopy and microanalysis. 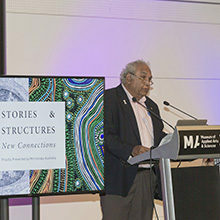 The reason for this was the retirement of Prof. John Drennan as Director of the Centre for Microscopy and Microanalysis at the University of Queensland and also the occasion of Prof. Simon Ringer stepping down as Executive Director and CEO of the AMMRF. Since 2002, these two leaders championed collaboration amongst our laboratories, initially through the NANO-MNRF and then the AMMRF. 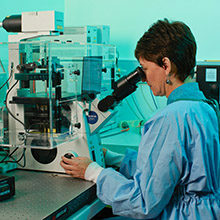 While the benefits of collaboration are numerous, including the sharing of staff expertise and skills, installation of new instruments and development of new techniques, the ultimate driver has always been to create world-class research facilities that enable world-class research outcomes for Australian researchers. The research stories in this and previous issues of AMMRF News as well as our annual Profiles clearly demonstrate the success of this vision. Leadership change obviously raises questions amongst our staff and users regarding what the future holds for the AMMRF. The reality is that change is a normal part of life for any organisation. In fact the ability to embrace the opportunity that change provides, innovate in the way we operate and demonstrate agility to respond to the needs of users are all signs of a vibrant and healthy facility. The AMMRF is focussed on the future. Succession planning has positioned us well as the facility transitions from establishment to sustainability and future growth. 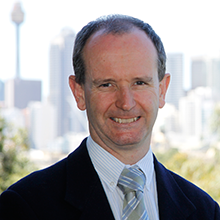 Currently across Australia our nodes are installing the latest aberration corrected TEM and super-resolution microscopy platforms, building and opening new laboratories to house more of these instruments, and a new leader is taking up the reins to ensure we continue to enable world-class research outcomes for our users. This is an exciting time to become CEO. I am delighted to take on this strategically important role and with it the responsibility of steering the AMMRF towards a strong future. I am looking forward to working with you and building on the legacy that John and Simon created.